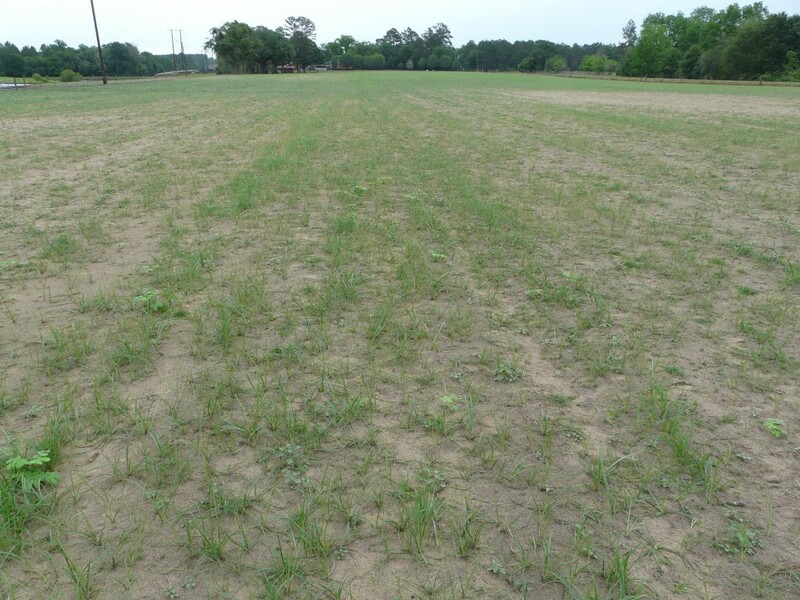 We have been looking at recently sprigged pastures this past month to determine weed control needs. 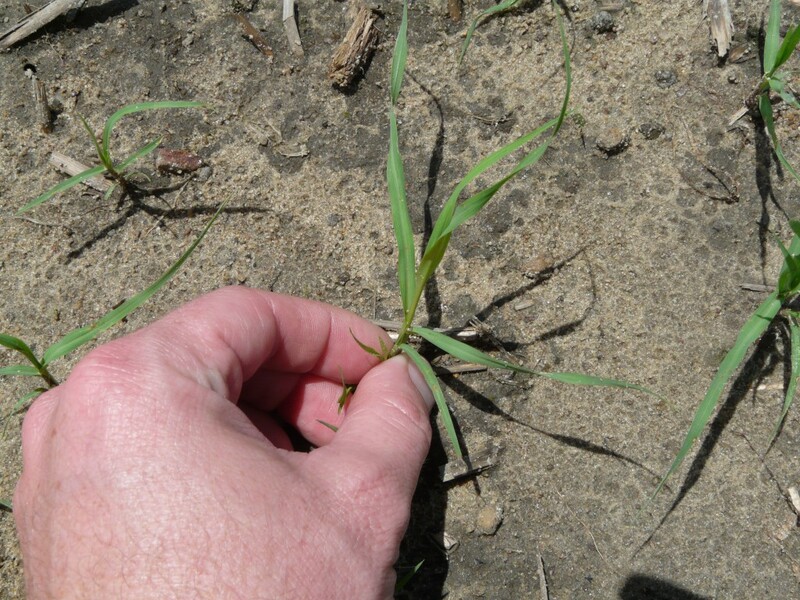 We can use Diuron immediately after sprigging, but for most everything else, the pasture needs to be established. So, when is it established? 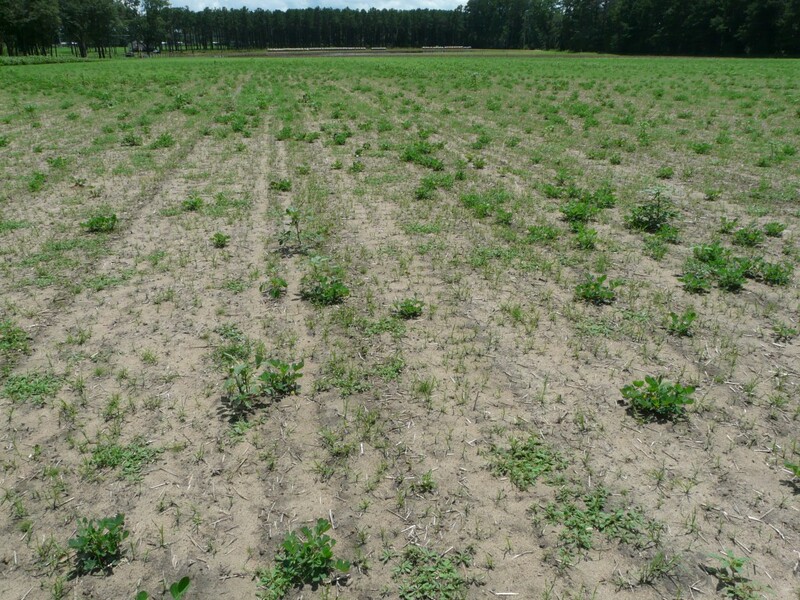 The pasture pictured above has 8-10 inch runners in 40% of the pasture and the rest was 3 – 4 inch runners. In terms of safest postemergent application, UGA Extension Weed Scientist Dr. Patrick McCullough says, the 2,4-D and Weedmaster products will be the safest to use on immature bermudagrass during establishment. However, we are too risky to apply these products now, so mowing will be our only option here until we can buy some time on establishment. Sometimes the label will indicate how long after sprigging we can use a herbicide. Generally, when Bermuda sprigs reach 8 – 10 inches or you can pull the sprig and it snaps (without putting up the root) it is considered established. Here is some TifQuik Bahia that was drilled in mid April. It’s only at 3/10 of an inch of rain since then, but coming up good. We have a more variety of weeds here, and automatically lose any option with mesulfuron since it’s Bahia. Some seedlings are still emerging, but most of it is 3 -4 inches. 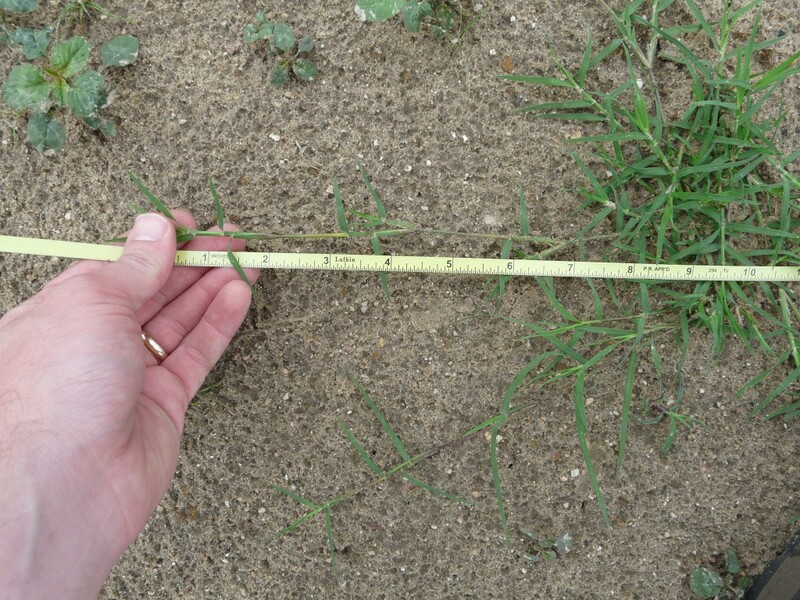 The rule of thumb here is when grass is 8 – 10 inches tall, it is considered established and safer to apply herbicides. In this situation, we would mow throughout the growing season, then come in the fall with a phenoxy herbicide to start control. Bahia reaching 8 – 10″ in height is generally established. It is recommended to mow throughout the season then use herbicide toward the end. Posted in Forage / Pasture, Weed Science. Bookmark the permalink.